The U.S. job market is a paradox. More and more jobs are being lost to intelligent automation, but digital technologies are also creating new roles that are going unfilled because of a digital skills shortage. Since those jobs originate in technology, it’s easy to assume STEM talent must fill them. This rather myopic thinking is aggravating a shortage of STEM skills into what two in five Americans term a crisis. It’s true that technology skills of the past were primarily programming-focused and required STEM education. Today, however, digital skills are more pervasive in the business world. We can prepare talent from a variety of disciplines – with capabilities sharpened in corporate “finishing schools” – for these jobs of the future. Enterprises, then, must play a lead role in embracing workforce transformation to tide over the talent crisis. With tech roles growing exponentially within companies, it’s unrealistic to think graduates with four-year degrees can fill all of the open positions. These same jobs can be performed by non-degree holding workers with specialized skills nurtured through alternative education paths – coding camps, online certification classes, training-on-employment and other types of vocational skilling. Community colleges are another great source of raw talent. Our new-collar workers will be individuals with backgrounds in diverse disciplines, with perspectives useful for tackling business challenges from every conceivable angle. What’s required of talent these days is a mix of technical skills (coding, data science, etc. ), soft skills (strong work ethic, high cognitive ability, etc.) and holistic skills (such as problem-finding and empathy for users). These skills aren’t dependent on a college major, but on an ability to learn and operate with a set of continually improving contemporary skills. In fact, at Infosys, we challenge full stack developers, liberal arts experts and design talent to work together to build out digital solutions for our clients. Another evolving idea is on-demand, modular learning delivered to the workforce throughout the period of their employment. These aren’t presented as “learning breaks” from business-as-usual but as a way to learn, while working and on the job. By training our workers, we can not only remove barriers that would otherwise have prevented them from fully participating in the modern economy, we can also ensure our workforce remains relevant for the future. American companies can mitigate their skills deficit by amplifying the capabilities of existing resources – to become better problem finders while machines evolve to be efficient problem-solving partners. It’s time we moved from a solely fulltime-employee-led talent pool to a heterogeneous workforce of regular employees, gig workers and software-led intelligence. Recently we published quantitative and qualitative research that explains and demonstrates the value of such an approach. 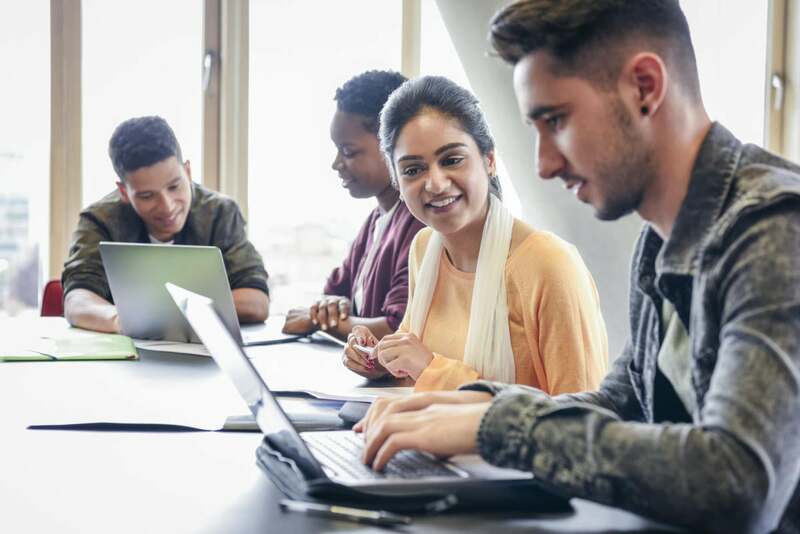 The talent problem isn’t likely to disappear soon, but businesses that create pathways for workers across the talent spectrum to learn, train and succeed can certainly make it more manageable. Ravi Kumar S. is a President at Infosys. In this role, he leads the Infosys global delivery organization across all global industry segments, driving digital transformation services, application development and maintenance; independent validation services, engineering services, emerging technology solutions, business intelligence & analytics, cloud & infrastructure, and enterprise package applications service lines.